Help Elect Brady Brammer to the Utah House of Representatives. "I support Brady for House District 27 because his experience and background will make a positive difference. 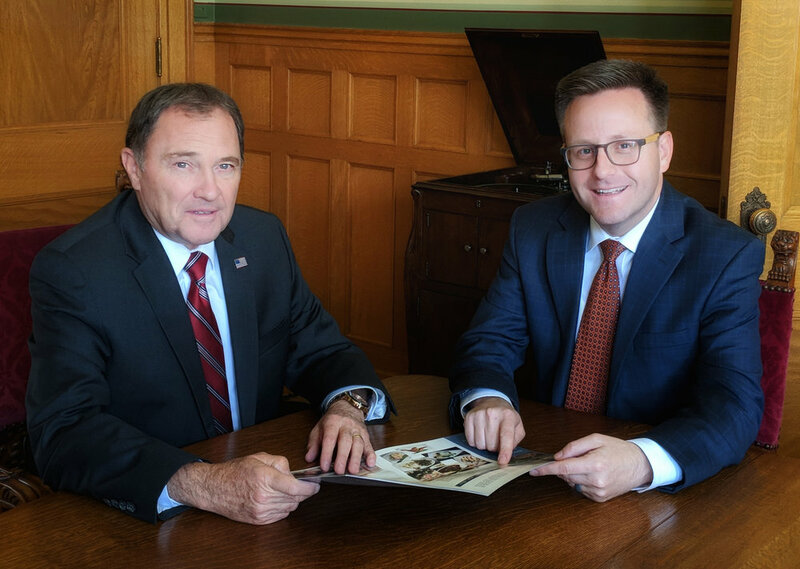 He is right on the issues and right for Utah." I love Utah County. I grew up here, and like many of you, I made sacrifices to raise my family in this beautiful place full of good people. Because I love this area, I feel a stewardship to be a public servant. I will strive to be a listener and an effective servant to participate in the years of growth that, if executed intelligently, will benefit both current and future residents. I will support policies that strengthen our families and provide incentives that encourage individual responsibility. I support and love our Constitution. While many are aware of the separation of powers, it seems that Washington DC has forgotten (or is willfully ignorant) that the Constitution provides enumerated powers only. I am running to represent District 27 (Alpine, Cedar Hills, and Highland) in Utah’s House of Representatives. Our community is one of family values founded in a belief in God and implemented through solutions-driven conservatism. I am eager to listen, serve and give a strong voice for our community. I've spent nights thinking about things like making payroll for employees. We need good fiscal policies. We need government out of the way of value creators. My family is my “why” and guides my decisions. They are all very excited to be part of this campaign! I believe that my professional training, experience and dedication to public service will be an asset to our community. I look forward to earning your vote!